It looks good for text. It is legible. My only complaint is that it is a bit wider than needed (by james). It is lot better than Gautami font found in Samsung mobiles. Noto Sans Telugu is part of Noto project that aims to build and freely give away fonts that support all characters in Unicode. 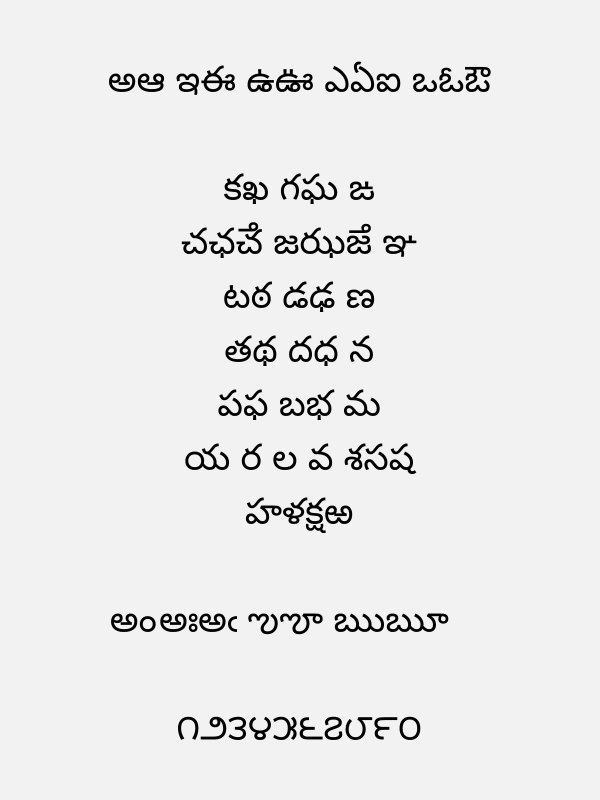 You can download Noto Sans Telugu font from the official website.